2015 was a great year here at National Agents Alliance! We had some incredible adventures traveling the globe - by land, sea, and air - and while the Alliance team strengthened old relationships along the way, we upheld our commitment to community and found new friends while making positive impacts. 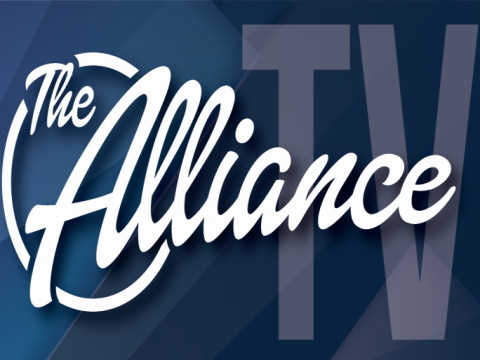 Were you there with The Alliance team for this wonderful year? What was your favorite moment? We want to thank you for making 2015 great at NAA and look forward to an even better 2016! Did you miss 2015? Don't worry, because we've got a new Mission for 2016 that the team is embarking on, and all are invited to join us! Join the National Agents Alliance crew in this video looking back at 2015, and relive (or experience for the first time) some of the adventures the team has while we Have Fun, Make Money, and Make a Difference! Leadership Convention 2015 Recap: In the Hunt! The Alliance's headquarters in Burlington, NC, was filled to capacity as our team members from all over the country converged here for the 2015 Leadership Convention! It was incredible to see familiar faces again, and to meet all of the new ones. The conference was amazing - filled with great speakers, great training, and great people. We were very happy to be able to host all of our teammates here at our work-home, and we hope that the experience was as fulfilling for all of you as it was for us! If you weren't able to make it, we missed you! Get a small taste of what went on here in our recap video - and then remember to decide. Decide on what? Decide to join us in January for the next National Conference of course! Visit Alliance Eventures to register today. Download it free! Use the link underneath the video player or click here. This very special theme song for National Agents Alliance's 2014 cruise aboard the Oasis of the Seas was written and performed by Koopa Fields. You may remember Koopa from the 2013 National Convention, where he performed the Key to Tomorrow Theme live! Tune into this catchy island theme song and prepare yourself for the cruise of a lifetime. While you're at it, why not check out this playlist of videos that National Agents Alliance's AMP Studios has put together about the ship, the contest, and the fun! If you missed it, download the theme free! Use the link underneath the video player or click here. The 2013 Grand Cayman adventure has wrapped up for the National Agents Alliance team, and everyone is safely home with unbelievable memories of an unforgettable journey. For some, this was their first trip with the rest of the National Agents Alliance team, for others it was a chance to catch up with old friends. Either way, from the kickoff to sand sculpting, from a white party to making a difference at the Frances Bodden Home for Girls, everyone was truly able to have fun and make a difference in Grand Cayman's tropical paradise! Check out all of the adventures the team had here in our recap video, and don't miss the rest of the action in the Grand Cayman Travelogue! National Agents Alliance's President and CEO, Andy Albright, recently had some visitors at his home: The women's basketball team of Reno, Nevada - The Wolfpack of Nevada! Andy's cousin, Jane Albright, is the coach of the team, and the two brought together this opportunity for the Nevada Wolfpack to hear Andy and NC State Alumnus, former NBA player, and Olympic champion, Tommy Burleson, speak about leadership, teamwork, and making the most of the platform they have as players to make a difference in people's lives. All of this and the experience of southern hospitality! Stephen and Hollie Davies speak at the 2012 NAA National Convention in Raleigh, NC. Alex and Heather Fitzgerald speak at the 2012 NAA National Convention in Raleigh, NC. Jon Gordon answers questions from the audience at the 2012 NAA National Convention in Raleigh, NC. Doug Murphy of Baltimore Life presents at the 2012 NAA National Convention in Raleigh, NC. Tim Goad speaks on leadership at the 2012 NAA National Convention in Raleigh, NC.